425 p., 2 ill., 15,6 x 20,9 cm. In this work, Fichte’s high school years in Schulpforta are reconstructed for the first time, building on sources never considered before and throwing new light on this first phase of his intellectual biography and on his reception of the work of important figures of the Enlightenment such as Lessing, Herder, Gottsched, Gellert, and Rosseau. 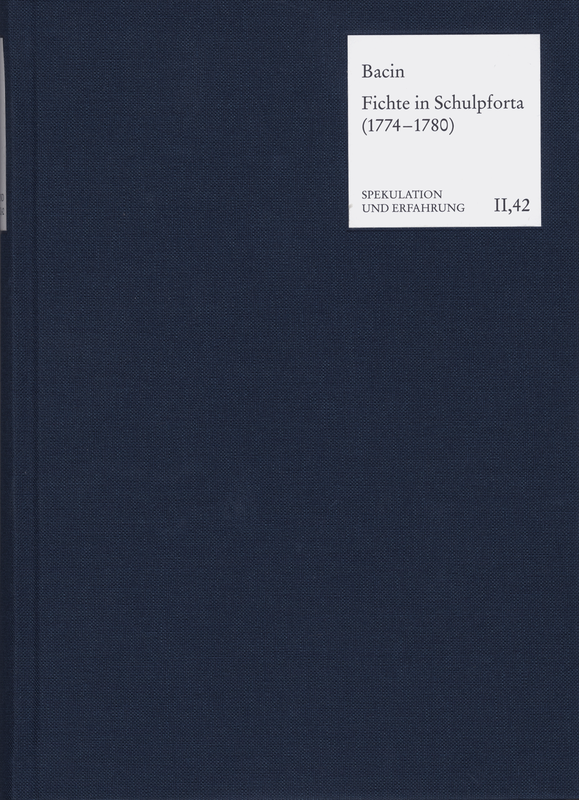 – The volume also includes the most important contemporary documents on Schulpforta and Fichte’s texts from those years. Among these, the most relevant is his Latin speech concerning the use of rules in poetry and rhetoric. In this volume, Fichte’s speech is newly translated and annotated for the first time, to provide the rich historical background.